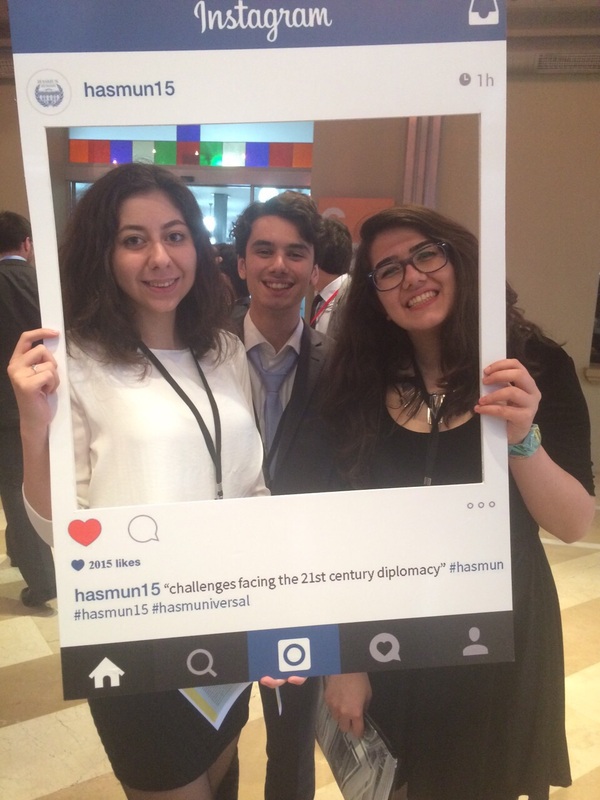 9th,10th and 11th graders participated in the HASMUN 2015[Model United Nations] Conference between May 8-10 at Kadir Has University. 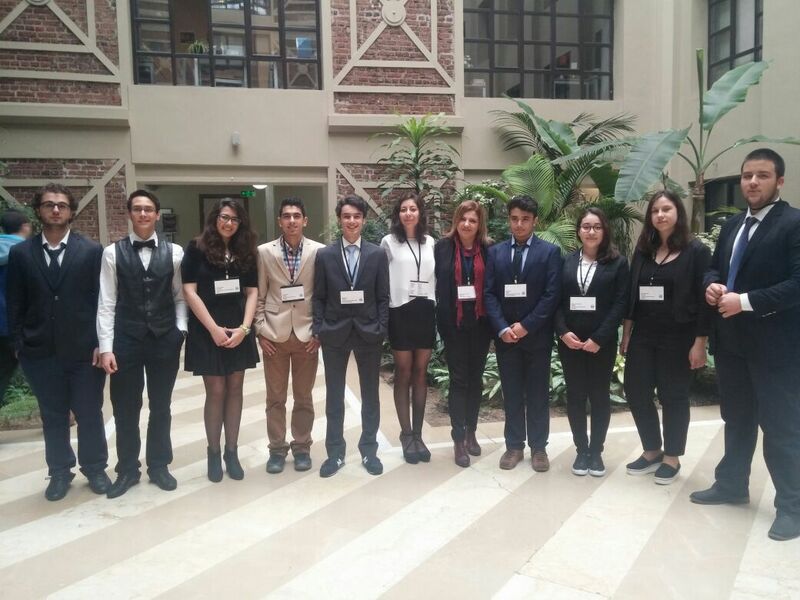 The main purpose of the organization was to have our students participate in the committees, being a delegate of the country which they were chosen for. 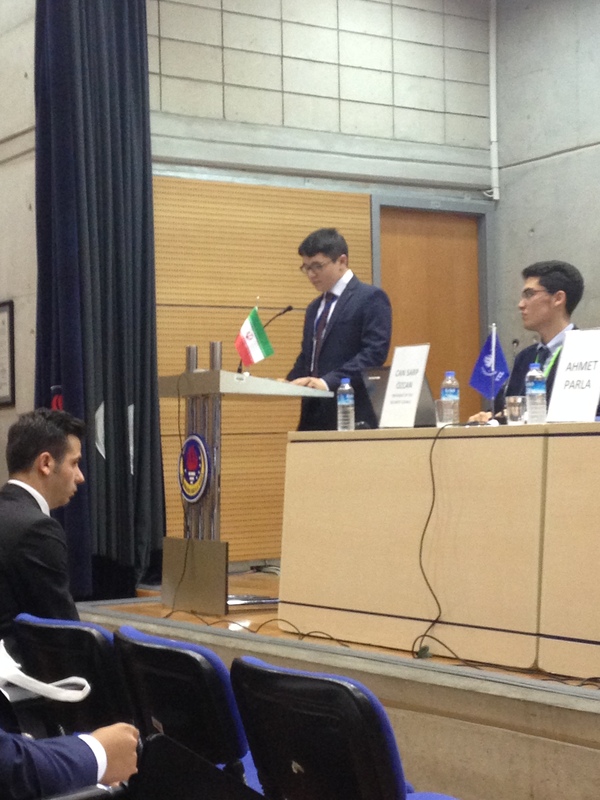 The theme of the organization was ‘’challenges facing the 21st century diplomacy and encouraging diversity fellowship. 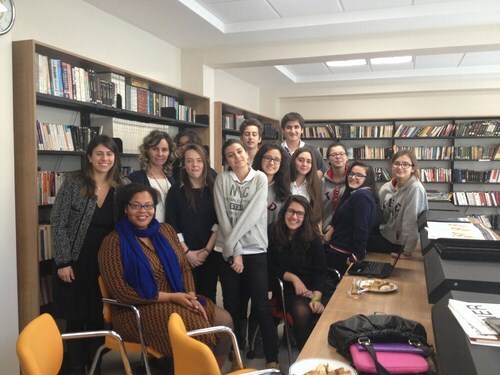 ’’Our English teacher Ayşe Yeşim Yaman accompanied 10 students during the conference that provided our high school students with a better understanding of the inner working of the United Nations to foster skills and compromise. Proudly, our 10th grade student, Ece Nur Yıldız has had the right to have The Certificate of Appreciation, being delineated as the outstanding delegate of HASMUN. 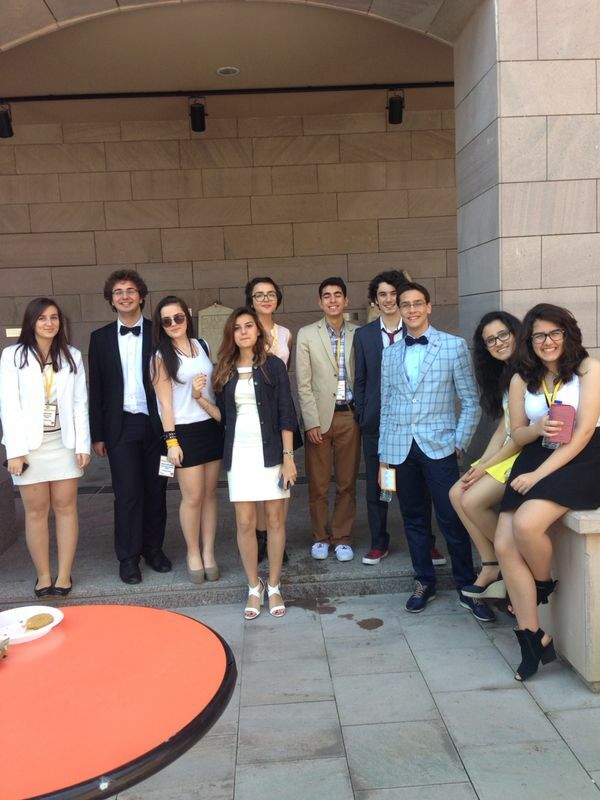 6 TED Kayseri Students Participated in 17th EYP National Selection Conference of Turkey! 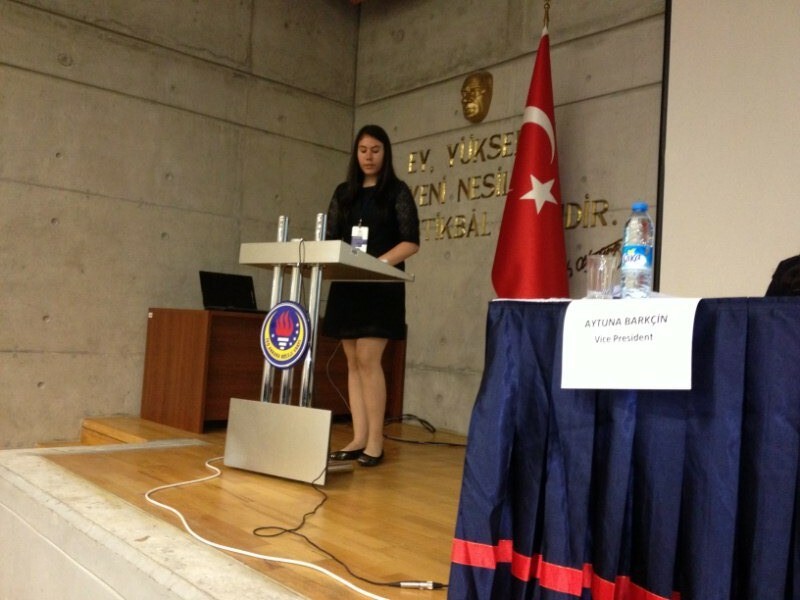 Between April 26-30 2015, 17th National Selection Conference of EYP (European Youth Parliament) Turkey has been hosted by TED Ankara College under the theme “Rediscovering Liberty on the 800th Anniversary of Magna Carta”. Over 120 delegates from different schools and cities came together to experience EYP and take part in a five day packed programme. Our 10th and 11th graders Kemal Somdaş, Baki Köse, Doğa Alemdar, Miray Yaray, Selen Özcan, Sıla Argın and 1 of our English teacher participated in this remarkable event which encourages independent thinking and socio-political initiative in young people and facilitates the learning of crucial social and professional skills. Official language of the conference was English. 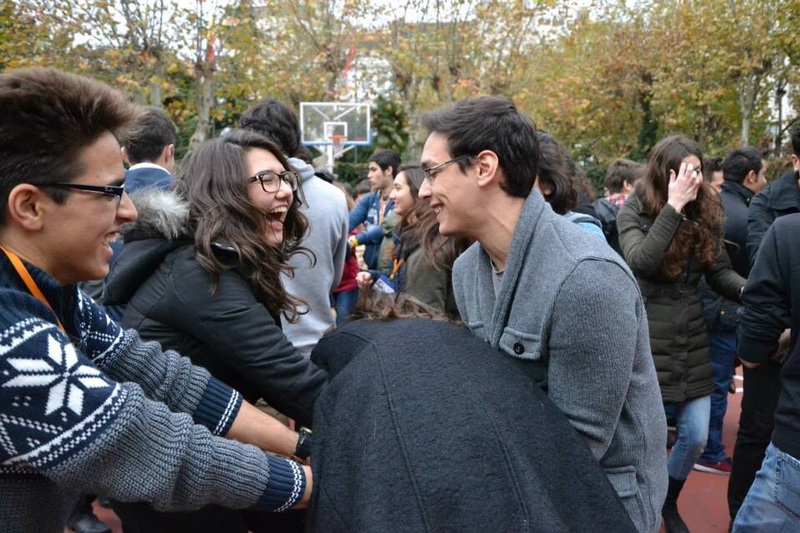 Between the 20th and 24th of November, Galatasaray High School welcomed over a hundred delegates to the 16th National Selection Conference of EYP Turkey. With a theme of “Defusing Conflicts, Normalizing Relations,” recent events were discussed among nine committees in order to create a resolution. Having attended a selection conference, the delegates spent three busy days working with their committees under the supervision of the jury. 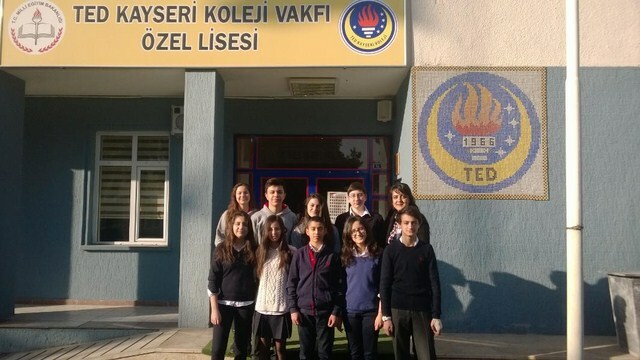 Six delegates—namely, Deniz Tunoğlu, Beyza Öner, Ece Yıldız, Ekin Berkay Gün, Metehan Eşel, and Oğuzhan Karaman and our English teacher Billur Özbay—were off to Istanbul in order to represent not only themselves but also TED Kayseri College. 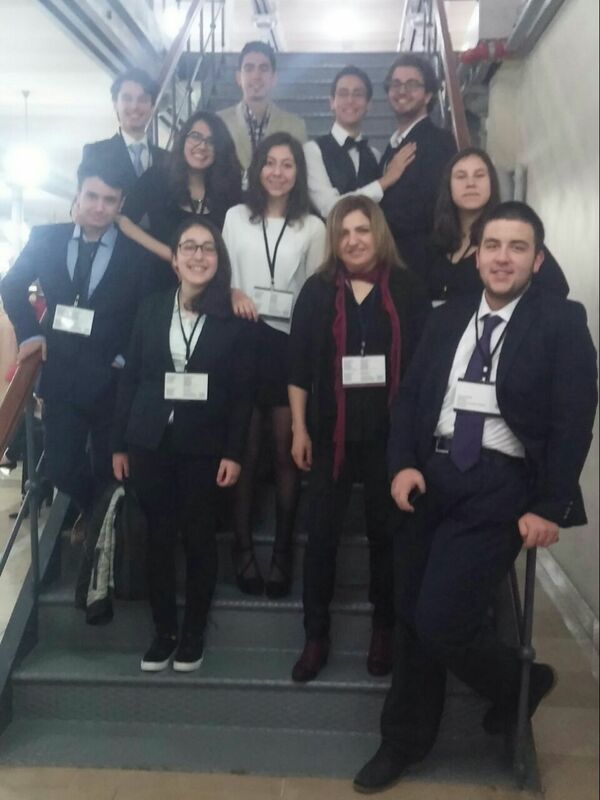 Sharing their opinions on various topics, such as women’s right and foreign affairs, the delegation of TED Kayseri College acquired invaluable experiences which they managed to integrate into their lives outside of EYP. By learning to compromise and respect one another in order to reach a unanimous decision, the delegation not only created wonderful resolutions with their committees, but also managed to defuse conflicts within themselves after committee work hours. At the end of these three action-packed days of team building and committee work, a general assembly was held where our students outdid themselves, reaching their highest potential. 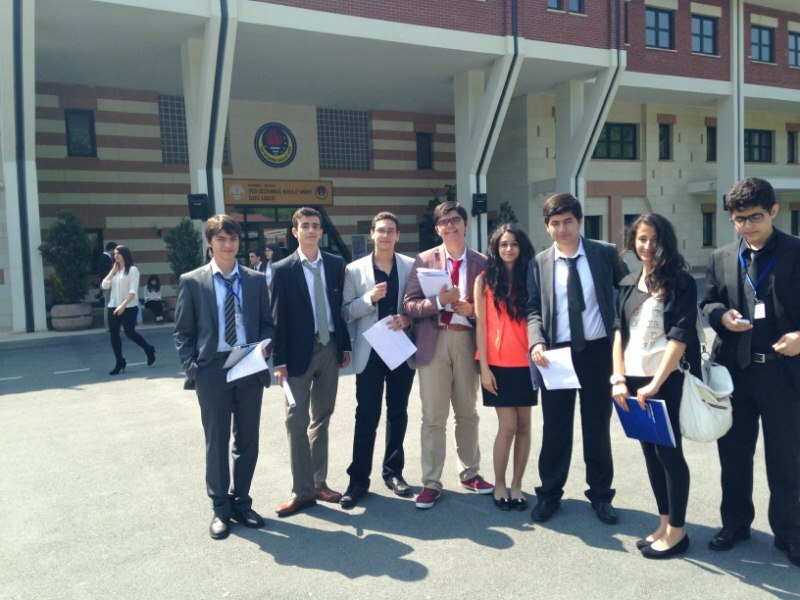 We, as TED Kayseri College, are proud of them. 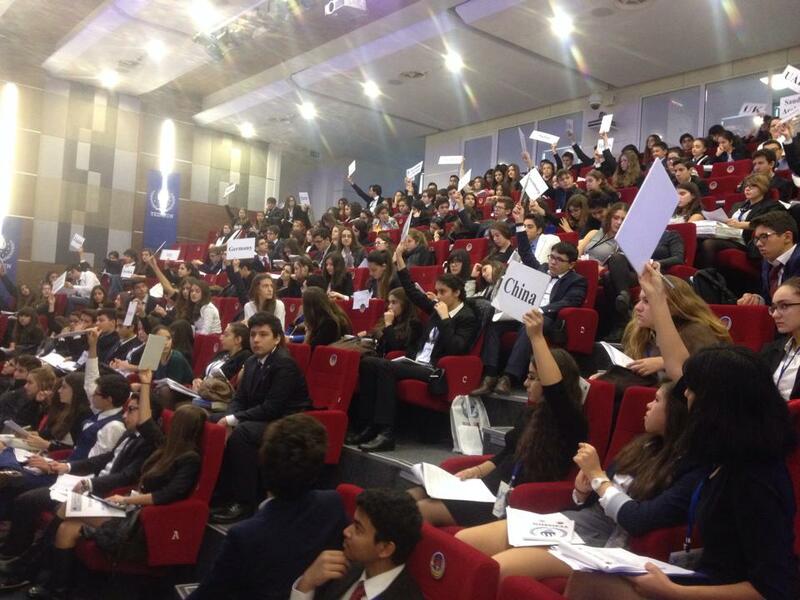 Hosted by TED Ankara College Foundation High School, Second Turkish Education Association Model United Nations ( TEDMUN ) Conference took place between the dates of October 30th and November 2nd 2014. The theme of the conference was stated as “Keys to Change”. The conference points out that we are all taking part in the “ changing” world and it is time to stand tall and speak up for the global issues. 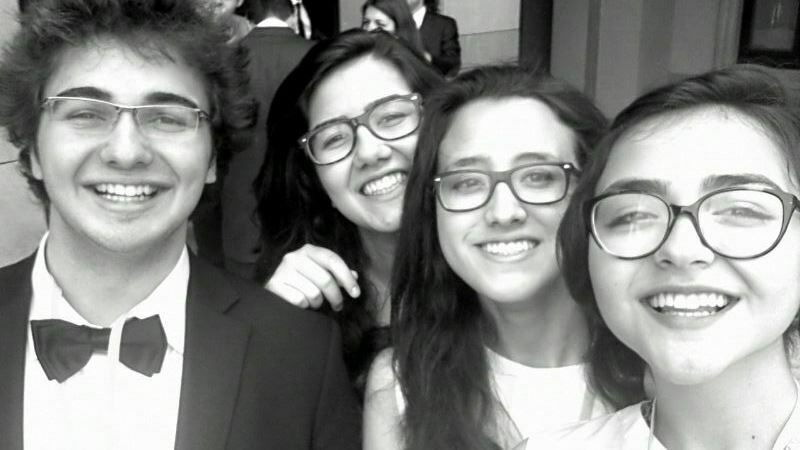 With participation of nearly two hundred delegates and a UN Security Council, TEDMUN gave students the opportunity to share their ideas on global issues. 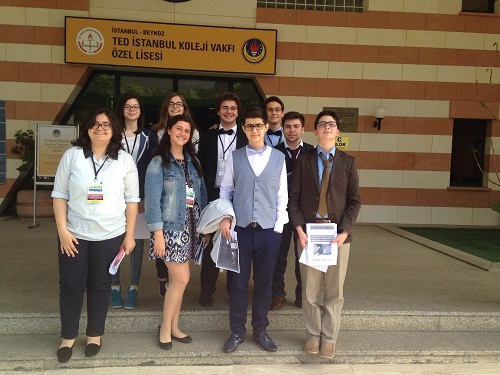 Accompanied by an advisor, nine students from TED Kayseri College Foundation Private High school took part in the conference. Two of our students, Mehmet Ercan Dirim and Osman Uçan were officiated as ambassadors of Iran and Democratic Republic of the Congo. After ambassadors delivered their speeches on the first day of the conference, all of the delegates kept working in their committees for 3 days, trying to identify world problems and seek peace. Among these committees there were “Disarmament and International Security”, “Economic and Financial”, “Social, Humanitarian and Cultural”, “Legal” and “Special Political and Decolonization”. 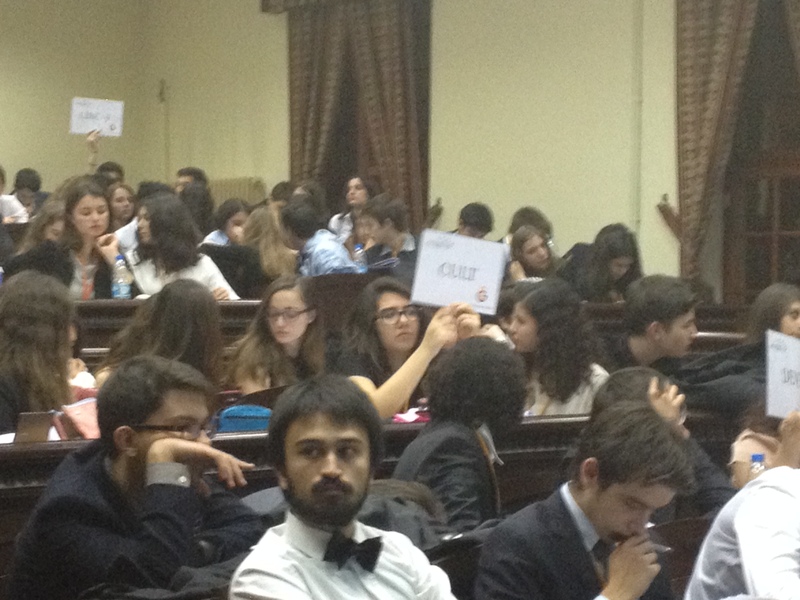 On the last day of the conference, delegates put their proposals to the vote. 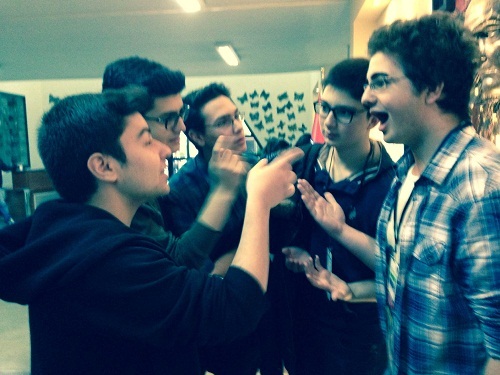 As well as developing their debating and leadership skills, Second TEDMUN Conference enabled students to socialize by throwing a party on the third day of the event. 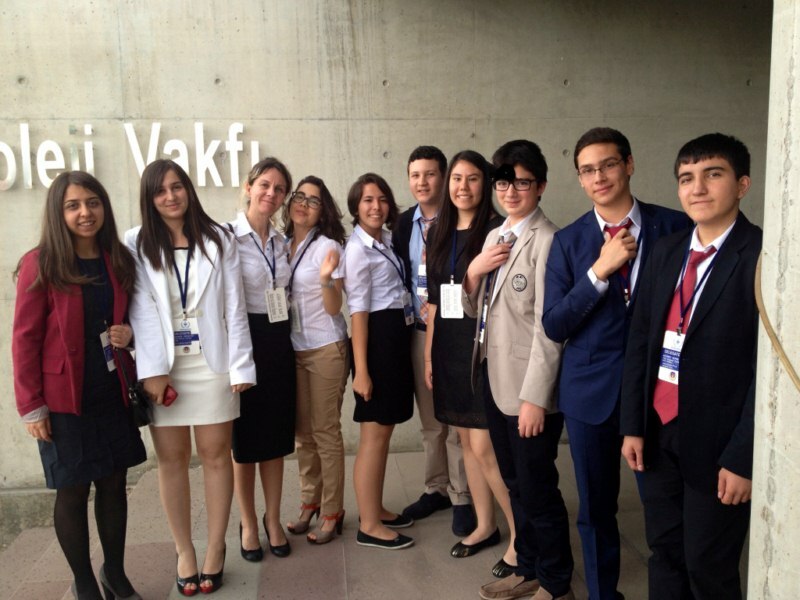 As TED Kayseri College Foundation High School, we are proud of our students to represent our school in the best possible way throughout the conference. 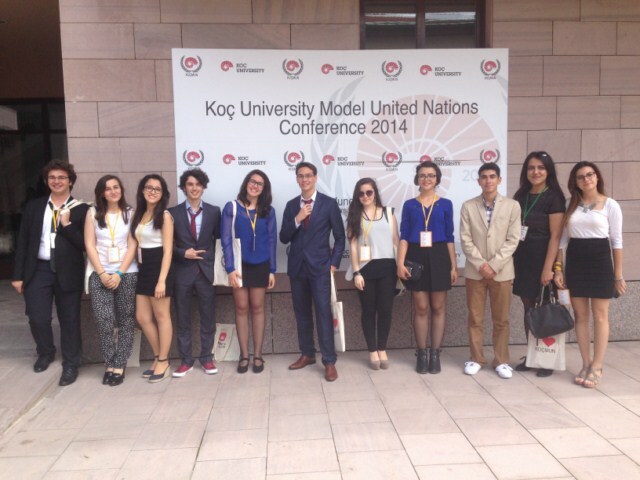 During 09-11 June 2014, KOCMUN 2014 Conference was hosted by Koç University. 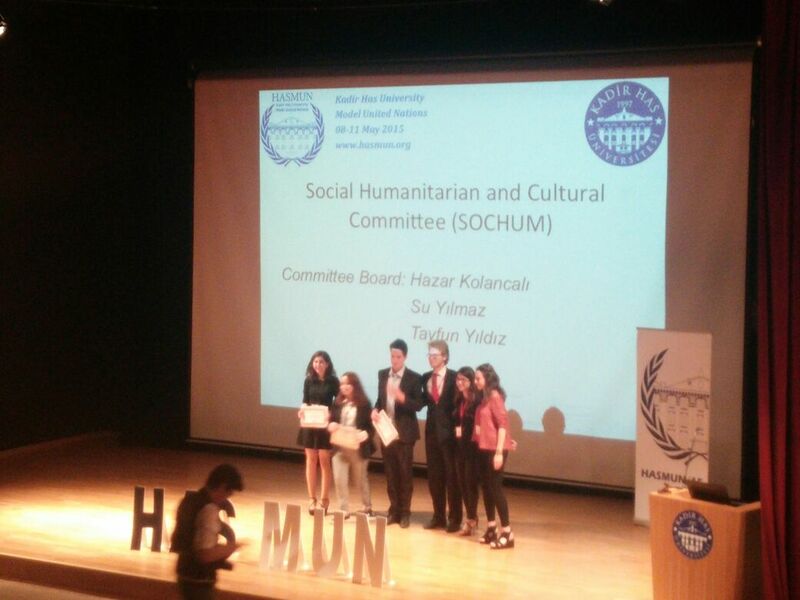 KoçMUN aspired to bring together participants with diverse backgrounds for the unique simulation experience that was tremendously rewarding for each and every participant, and to help students extend their understanding of global issues and seek potential and permanent solutions to the problems the world is faced with today. 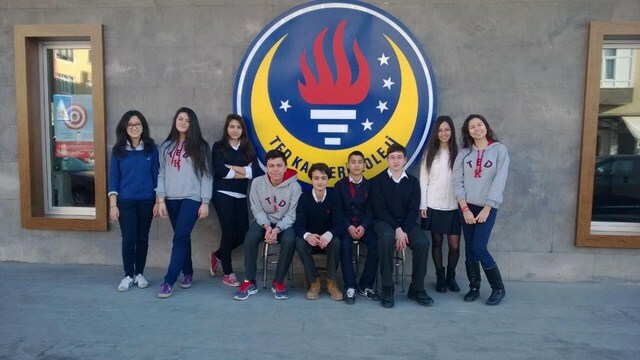 Our students Canberk Taze, Metehan Eşel, Hande Ersaydı, Vicdan Beyza Öner, Ekin Berkay Gün, Selenay Ecem Kantarcı, Aslan Abbas, Miray Yaray, Deniz Tunoğlu, Doğa Alemdar and English teacher Firenur Koç participated in the conference. 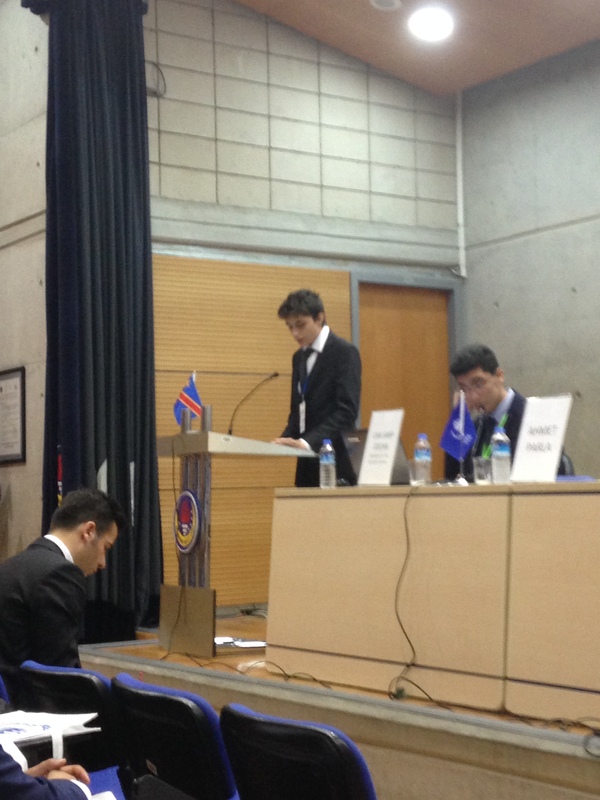 The official language of KOCMUN was English. 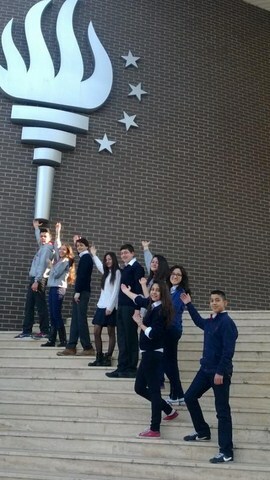 Our students Aybüke UZUN, İlkin Sevcan YÜKSEL, Sena ÖZTÜRK, Zekiye BAYGIN, Metehan EŞEL, Utku ESER, Doğuş TEMİZSOY, Canberk TAZE, Kaan Büyükmıhçı, Elif ÖZELLER participated EnvironmenTED 2014 CONFERENCE at TED İstanbul College. EnvironmenTED is intended to encourage the secondary school students to put their learning in practice, be aware of the environmental issues, search for their reasons and produce suggestions for solution as a result of their investigations. The workshop is also intended to remind the students that the education is not limited to the classroom learning but it can be used in daily life to solve any problem. The theme of EnvironmenTED Istanbul 2014 is the “Impacts of consumption on the environment, economy and social life.” The groups of participants are expected to observe the overconsumption trends and investigate their impacts on the environment by considering their connection with the economic and social life and to suggest solutions. Our group worked on the theme by focusing on automotive sector (political establishment on production, consumption) and environment by preparing a presentation. Our student, Doğuş Temizsoy, was rewarded with the most creative and applicable solution prize.As TED Kayseri College, we would like to thank to our students for their efforts. 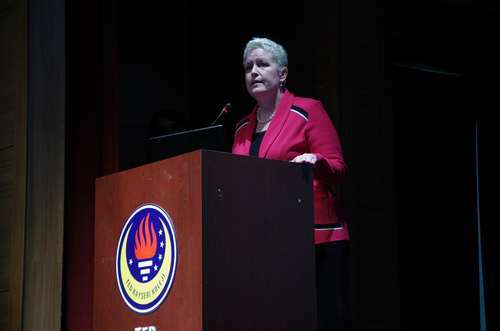 Currently, Access courses in Turkey are conducted via a partnership between the U.S. Embassy and the Turkish Education Association. Access is a microscholarship language programme that provides a foundation of English language skills to talented 9th graders from disadvantaged sectors through after-school classes. 30 students participate in this project which is held for the third time in our school and supplies all the students with education materials and transportation. 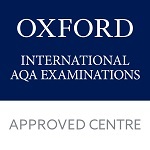 Our students will get 360 hours of English education until June, 2015. 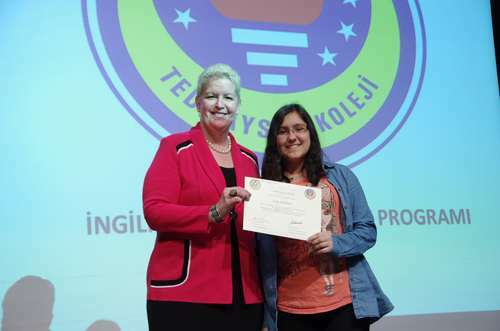 The opening ceremony of the Project which started in December, 2013 was held at TED Kayseri College by U.S Embassy Ankara English Language Attache Andrea Schinler, the principle of the schools and the project teachers on April 16, 2014. Our TED Association is running a project from the US. embassay for the VCP (Virtual Classroom Project). Last week, the guests involved in the project had interviews with the contact teacher, Billur Özbay and our 9th grade students. The board has indicated that the project is very creative and well-excuted so we wish our students good- luck and a great success . One of our English project groups had a training of virtual classroom (VC). 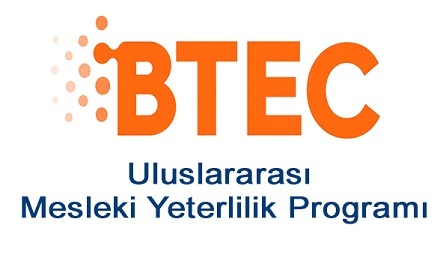 It is a collection of free, online educational activities and resources to complement the effort of our 9th grade students and our English teacher Billur Özbay. The VC vision is to empower, enable and connect students around the world using internet technology. We hope it will help our students to improve their English by sharing the projects with Mt. Abraham Union High School students in America. 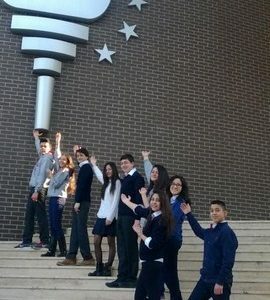 Our 9th graders started an “eTwinning Project” which is a part of Lifelong Learning Programme with the help of our English teacher, Firenur Koç. Our students work with other students from Italy, Greece and Lithuania for this project that is about fashion. They get to know other students from different cultures, prepare presentations, demo lessons and learning tasks, they do research about the topics determined by their teachers and share their findings in an online forum. 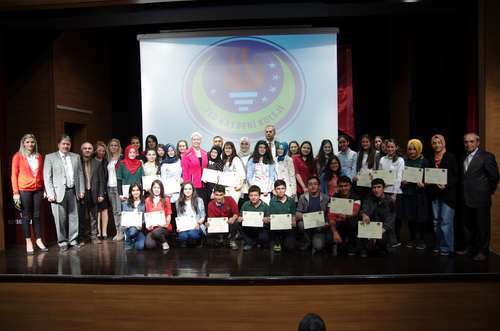 Our students have attended the workshop between TED İstanbul High School and other high schools in İstanbul, themed “Our Resources and Environment Problems” together with our English Language teachers. The students present an environmental problem from their cities and then each city tries to find solutions for each other’s problems in English in the project. 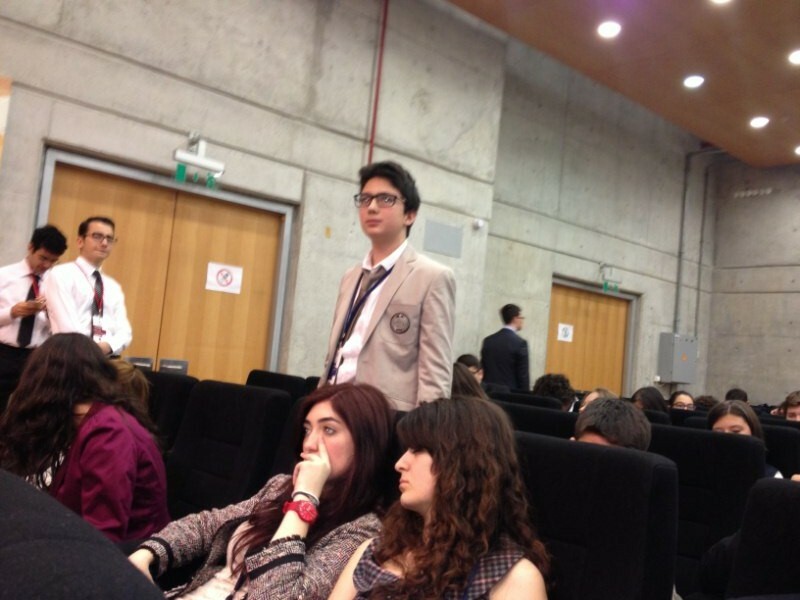 Our school takes part in European Youth Parliament (EYP) which takes place 2 times a year. 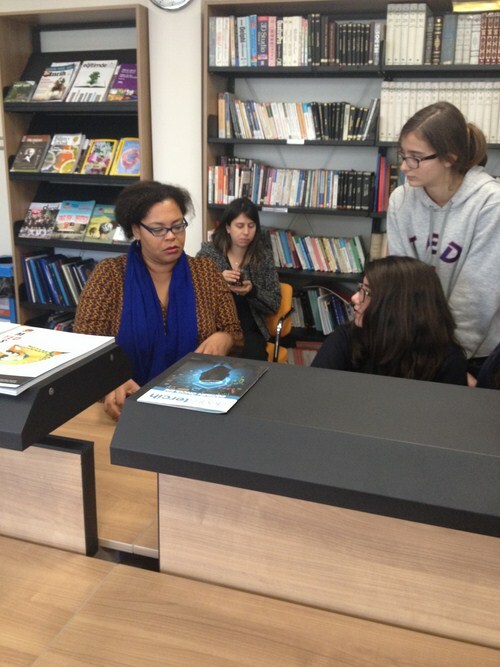 Our English Language teachers Billur Özbay and Ayşe Kocaoğlu guide the students that take part in EYP. 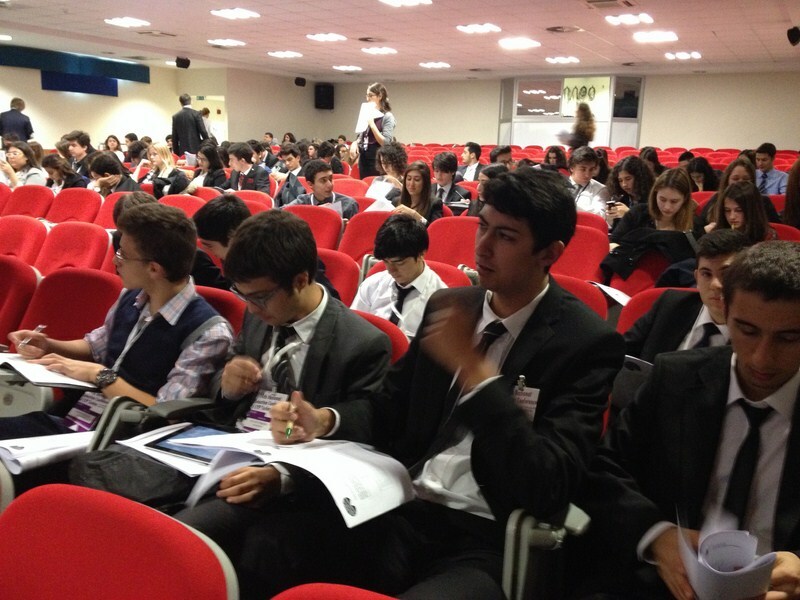 EYP is held in İstanbul in English. The students work as teams and they prepare resolutions on subjects related to European community. The students who perform well are chosen by the jury and they have the opportunity to attend conferences that are held in various countries in Europe. 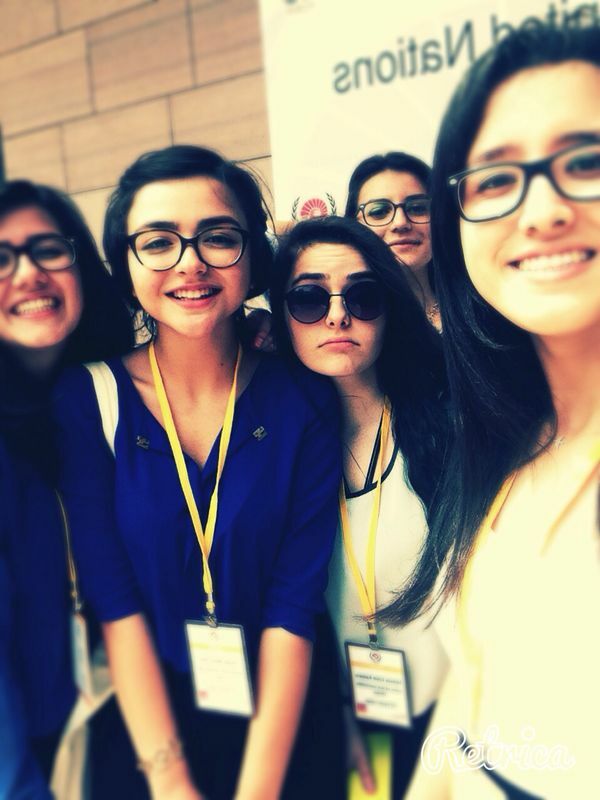 Last year our 9th graders participated in TED MUN conference as delegates and ambassadors with our English teacher, Billur Özbay. 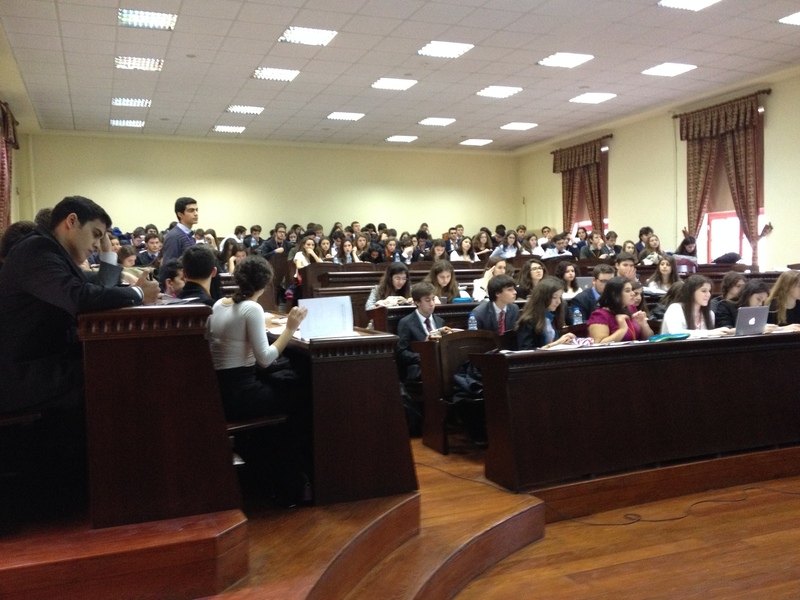 MUN (Model United Nations) Conferences are platforms where high school and university students have debates about international diplomatic political affairs. All of the students took part in the conference actively. 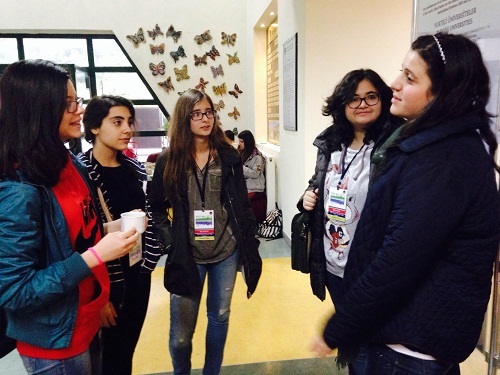 Our 11th grade students participated in the 14th form of youth which took place between November 8-11 in İstek Semiha Şakir Anatolian High School in İstanbul. Students who had achieved success in committe work could have the right to speak in the General Assembley.